John Middleton Murry, husband of Elizabeth von Arnim’s cousin Katherine Mansfield, consoled the author after Vera had attracted some bad reviews, by saying the reviewers had failed to understand a tragi-comedy that read like Wuthering Heights as written by Jane Austen. This dark, disturbing novel also presages a later novel about a woman who’d died in mysterious circumstances before the events in the novel take place: Rebecca. 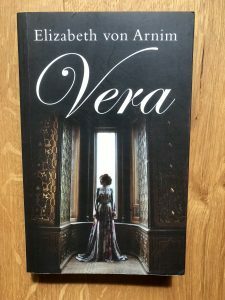 Vera is about a naïve young woman who ‘was engulfed’ by the apparent grief-stricken affection of a man named Everard Wemyss. His wife Vera had recently died – in a way that increasingly suggests his pathological egotism and what we now call coercive control had led to her suicide. He comes upon young Lucy, grieving for her father who’d just died at their Cornwall holiday cottage, and she is smitten by what seems his tender empathy and sensitive soul. He takes advantage of her damaged emotional state and vulnerability. She rapidly discovers that she’s made a terrible mistake. His domineering control of her and his household once they’re married is so obsessive as to become a nightmare for poor Lucy. Despite the best efforts of her caring Aunt Dot, Wemyss is able to dismiss all who try to mitigate his insistence on complete servitude in his young wife. Like Torvald in A Doll’s House, he’s created a gilded cage for his little bird; like Nora’s patronising husband he repeatedly infantilises Lucy, calling her his ‘little girl’, his ‘baby’, while scolding her and criticising her for showing the least sign of spirit or rebellion. It becomes increasingly difficult to read such stuff – but it holds the attention like a slowly unfolding car-crash. He adored her bobbed hair that gave her the appearance of a child or a very young boy…all he asked in a woman was devotion. If only she would take off her hat, thought Wemyss, bursting with pride, so that the registrar could see how young she looked with her short hair – why perhaps the old boy might think she was too young to be married and start asking searching questions! What fun that would be. There are moments of humour, as when Aunt Dot contemplates Wemyss’s tepid style of courting Lucy at her aunt’s house in London, and the only word she can find to describe his mode of ‘love-making’ (in the old fashioned sense) is ‘vegetarian’. He’s dismissive of Lucy’s family’s bohemian, spontaneous, cultivated and artistic ways: he’s a cold-blooded philistine and a prig. He’s a veritable Casaubon to Lucy’s Dorothea – but far more sinister. 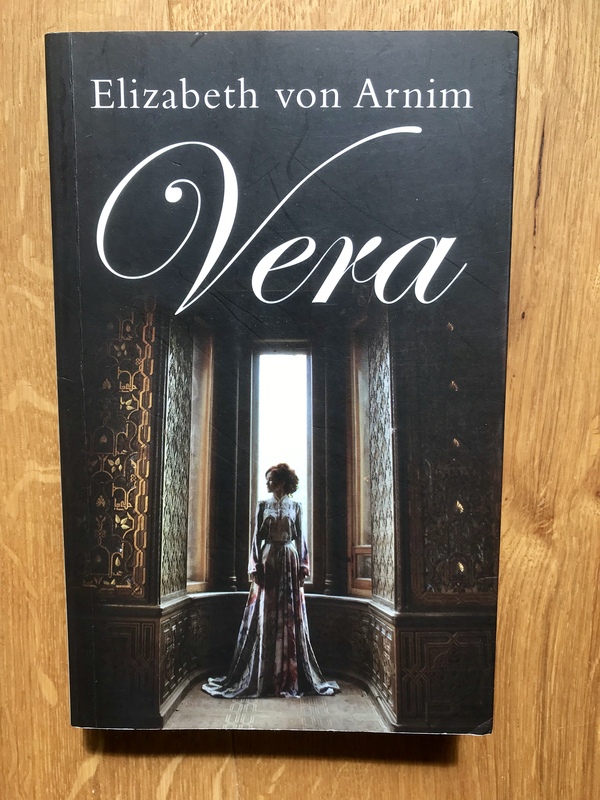 It seems von Arnim wrote Vera in response to her own disastrous second marriage to Frank, second Earl Russell (brother of philosopher Bertrand). Her first husband was a domineering, typically Prussian Junker aristocrat, Graf von Arnim-Schlagentin. Among the tutors they employed for their children were EM Forster and Hugh Walpole: she moved in exalted circles, but showed less discernment in her choice of lovers – including, perhaps, the three years (1910-13) she spent as a mistress of HG Wells. I’ll never write anything so good again. I daresay more popular…but not so really good. It was extracted from me by torment, so that I do not want to write so well again – not at such a price.